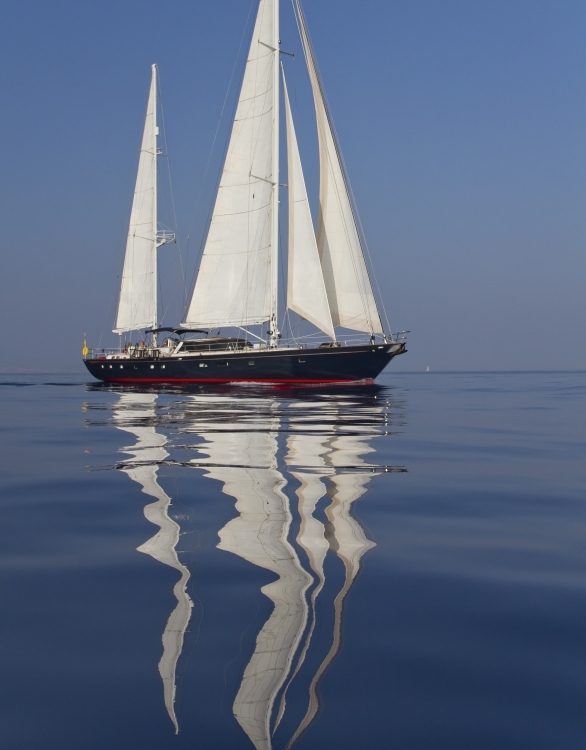 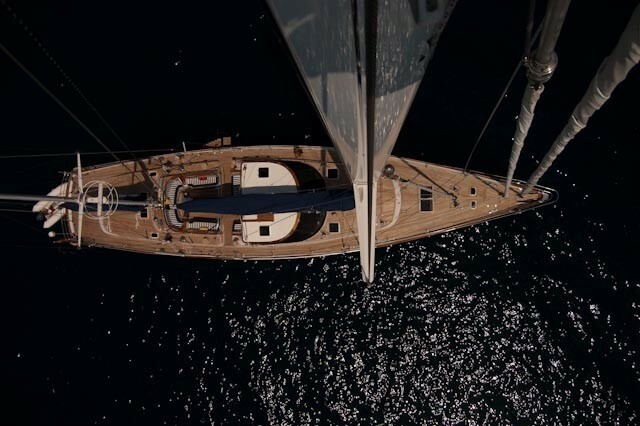 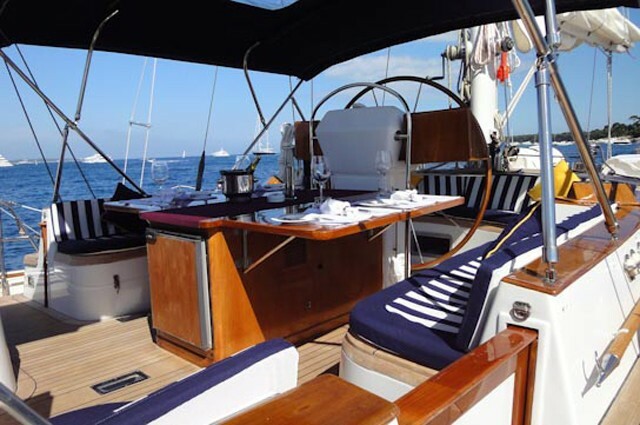 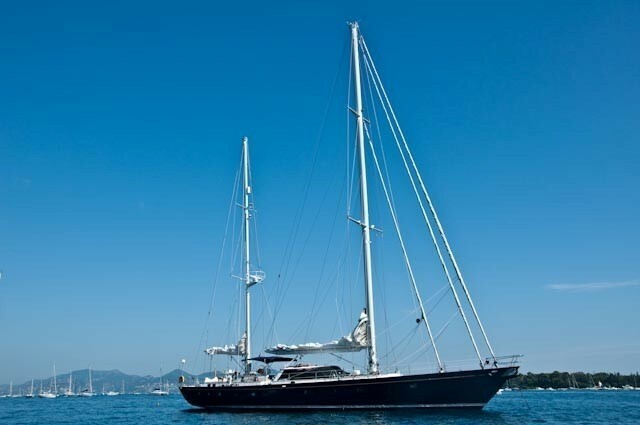 Luxury Mediterranean sailing yacht ORION (ex Sapphire), a 85ft is a lovely Ron Holland designed Ketch which was built for blue water cruising in style. 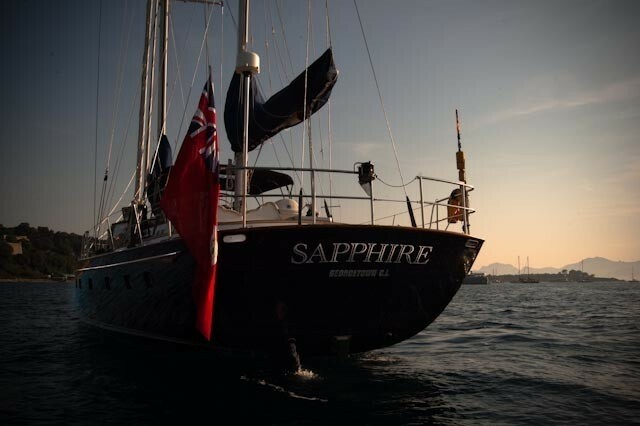 Sapphire is an outstanding yacht of her time, with a fantastic sailing performance matched by her elegant and comfortable accommodation. 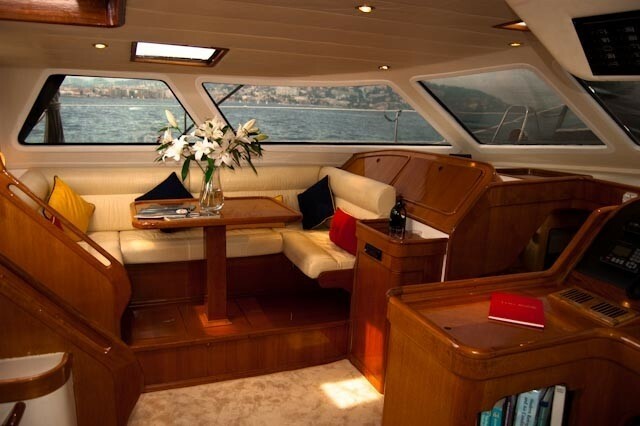 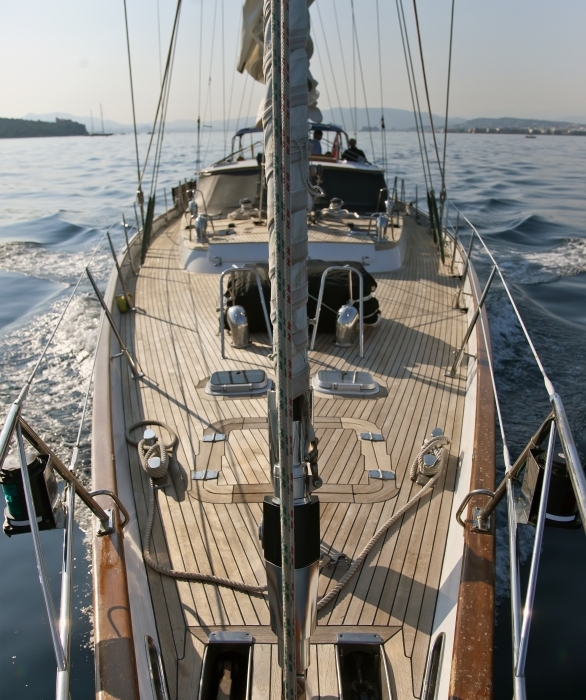 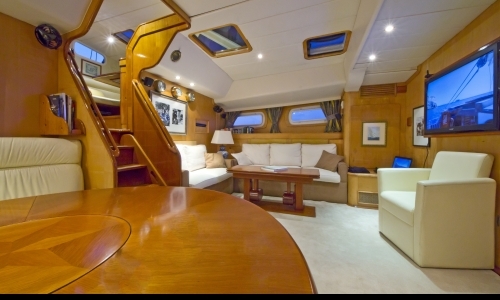 She has a good expanse of teak deck for sunbathing, and a safe cockpit with comfortable seating and dining table. 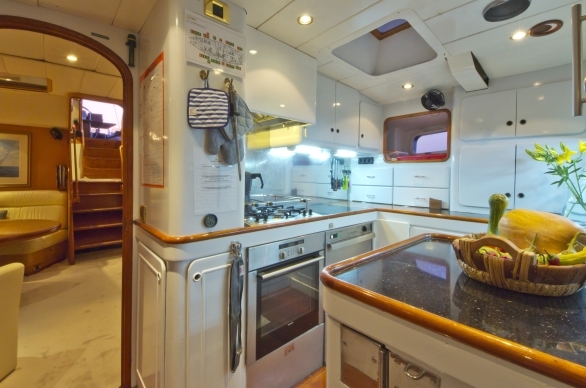 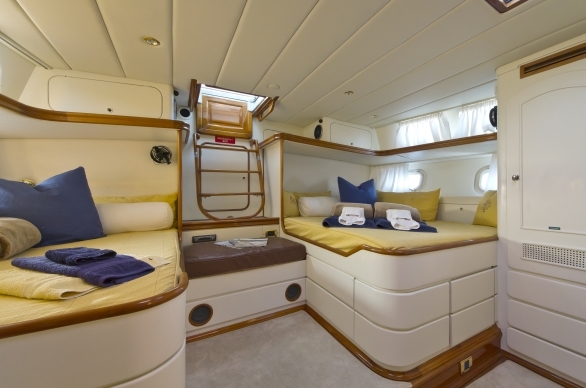 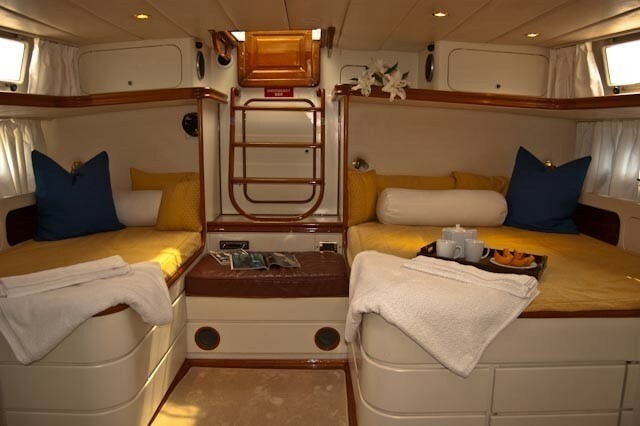 Her Pilot House has U shaped seating with all round visibility for either hot or cold weather. 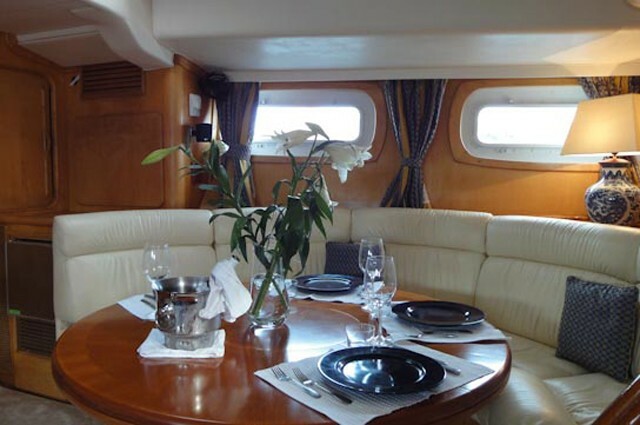 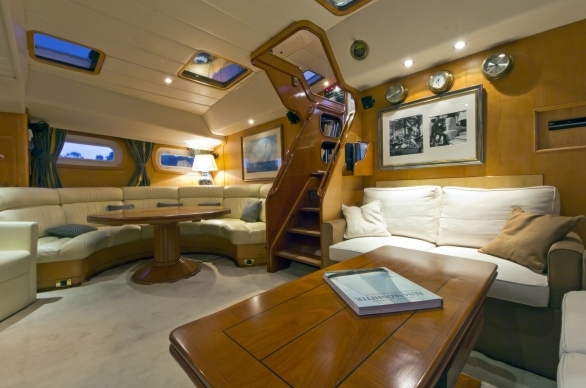 The Main Saloon is huge with a round table to starboard seating at least 8 guests, and a coffee table with occasional seating to port. 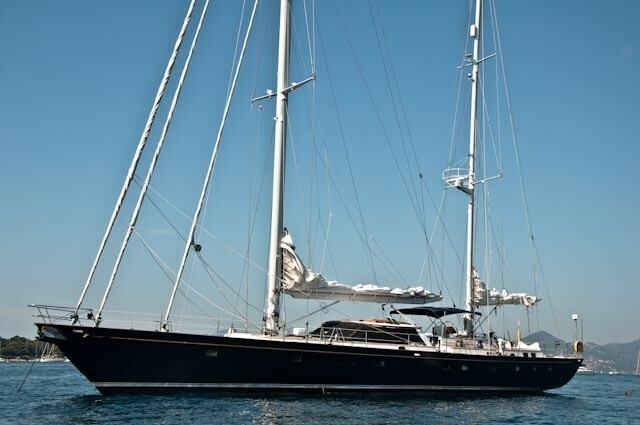 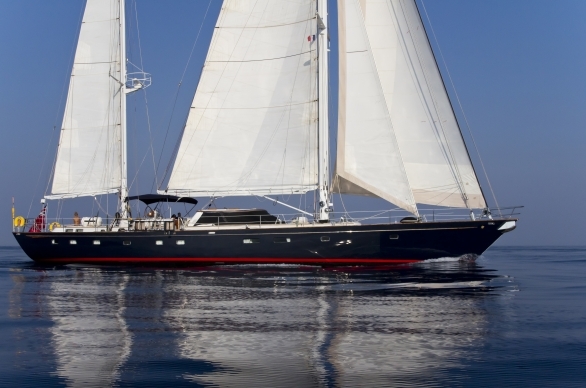 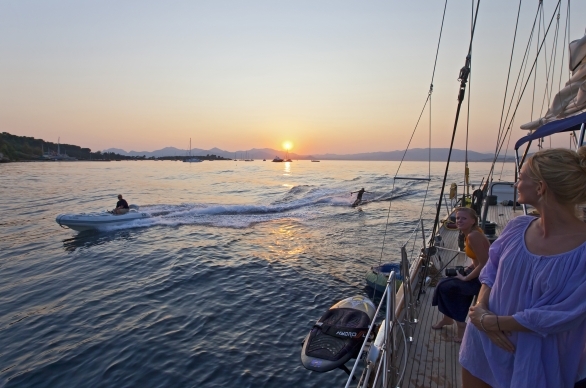 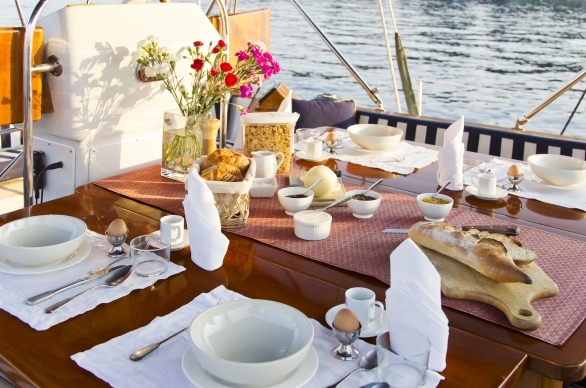 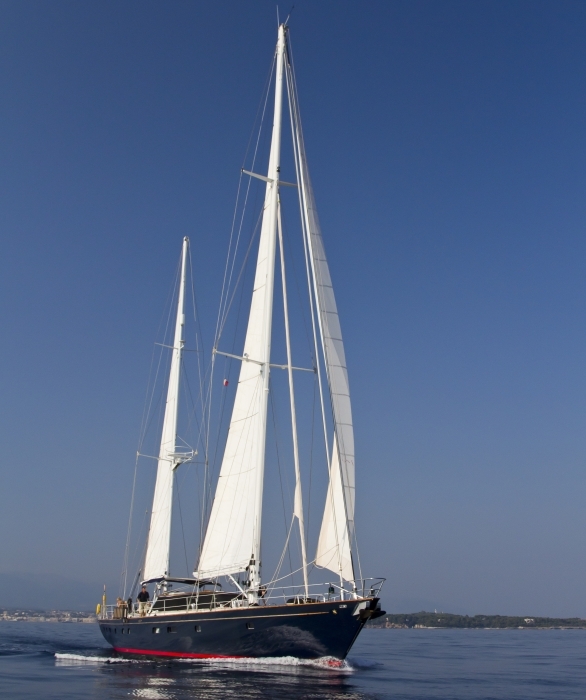 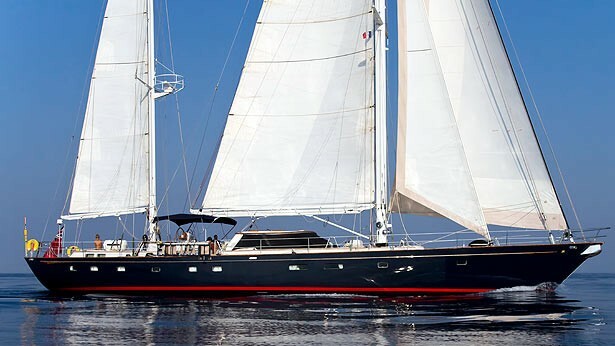 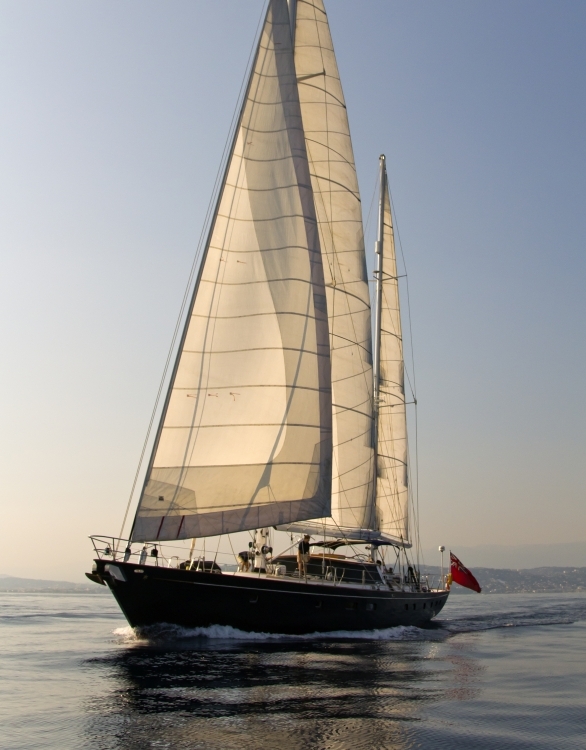 Sailing yacht ORION operates with a crew of four. 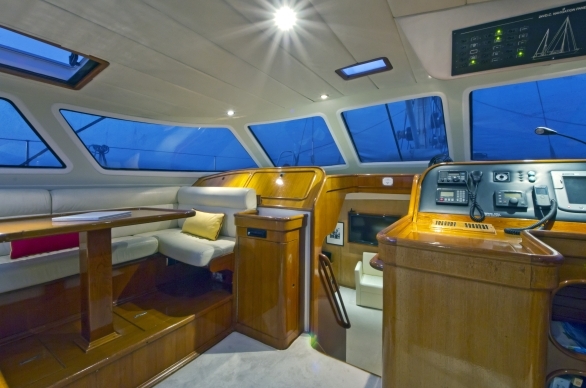 ORION's WATER TOYS INCLUDE 16' Nautica RIB with 50 hp outboard, 13' Novurania with 15 hp outboard, water ski-ing with Scurfboard and donut, windsurfer, scuba gear for qualified divers. 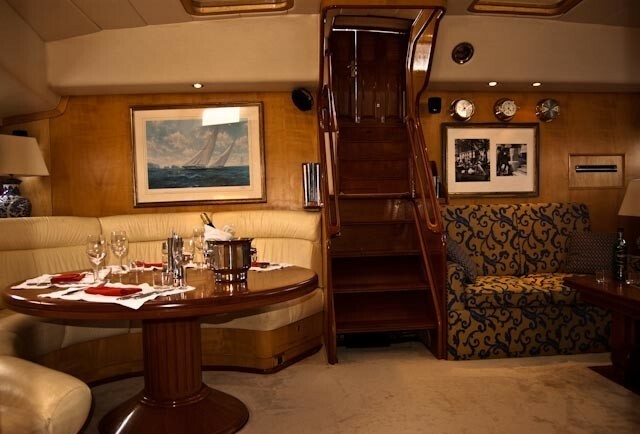 The yacht is fully airconditioned. 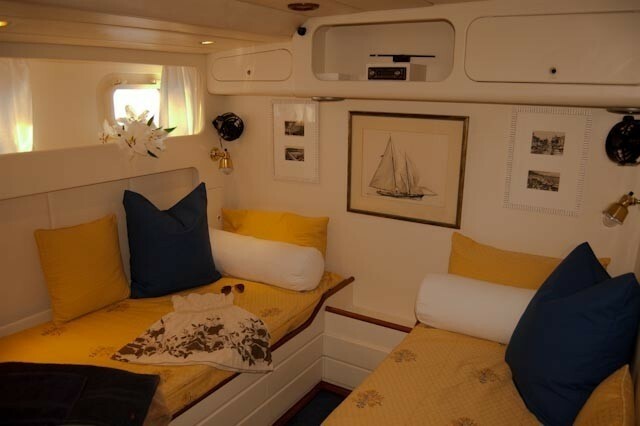 ENTERTAINMENT FACILITES INCLUDE TV/VCR/CD and 6' x 4' Projector Screen. 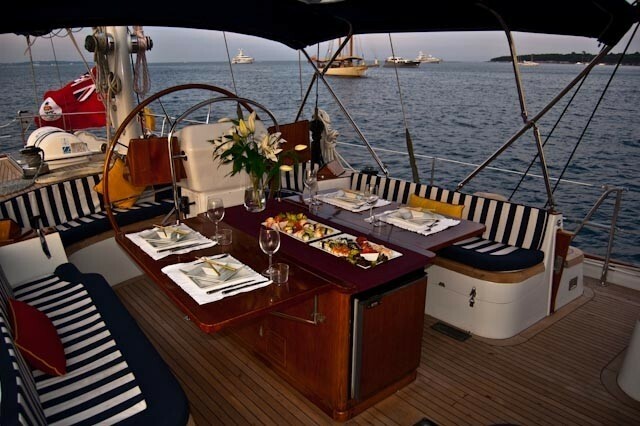 COMMUNICATION EQUIPMENT INCLUDES satellite telephone with email, GSM Mobile Telephone. 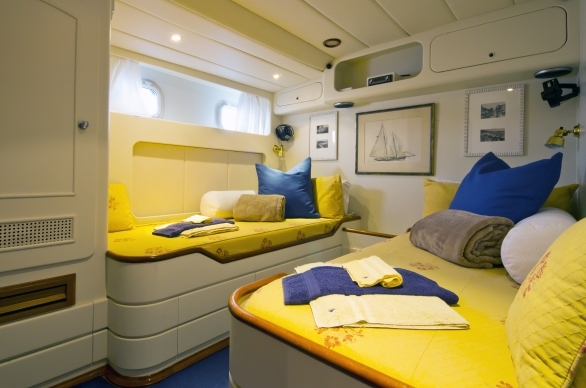 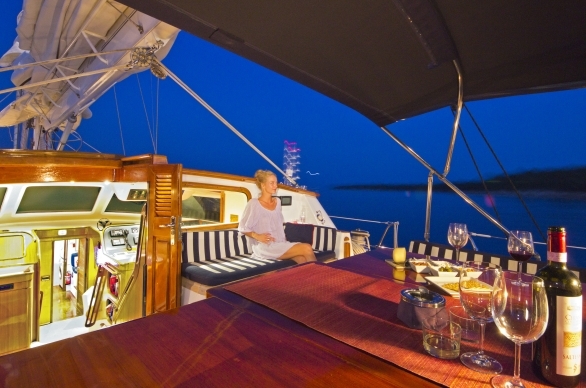 DECK& SYSTEMS include full awning & bimini, hammock barbeque, cockpit table, cockpit seating, deck showers, North sails ('97), Sat-com Inmarsat M, boarding ladder, swim platform, cockpit cushions, 2 x generators, 3 x inverters.